City of Barrie-5th Class Fire Fighter | Ontario Fire Administration Inc.
You must have valid certificates for Stages One, Two, Three and a swim test to apply to the City of Barrie. The posting closes April 17, 2019. Questions regarding the City of Barrie's recruitment process should be directed to Barrie. Our community values quality of life; the ability to play year-round with 300 hectares of park space, our beautiful waterfront, our lively downtown core and the nearby hills, wetlands and forests. We also value connections; to our neighbours and the community, to our road and rail network, and to the opportunity Barrie provides to enjoy life. Barrie Fire and Emergency Service (BFES) is a team of dedicated professionals delivering a vast array of emergency services to the citizens, business and visitors to Barrie. Originally organized in 1844, BFES has become one of the most respected fire services in Ontario, providing high-level service in: fire inspection/code enforcement, fire protection, technical rescue, training, communications, origin and cause investigations, and emergency management planning. Working within the Barrie Fire and Emergency Service Department, you will be part of a dynamic team responsible for protecting the lives, well-being and property of the people of Barrie through dedication to life safety, commitment to community service and the preservation of the environment. Located at one of the City’s five fire stations, you will be responsible for responding to fires, fire alarms, technical rescues, hazardous material incidents, medical emergencies, marine incidents and other emergencies. As a frontline member of the Barrie Fire and Emergency Services Department, you will play an integral role delivering fire protection services through public education, fire safety standards and enforcement, and emergency response. A Criminal Record Check and Vulnerable Sector Check, at the candidate’s expense, is required to be submitted at the conditional employment offer stage and must be conducted no earlier than 30 days from the employment offer. Candidates must provide confirmation of a valid and unrestricted Ontario Class ‘D’ Driver’s Licence with a ‘Z’ endorsement at the conditional employment offer stage. A driver’s abstract will be required at the conditional employment offer stage and must be dated no earlier than 30 days from the conditional offer date. Should a candidate not possess the required OFAI CTS Certificate at the time of application, as a condition of employment, the candidate will be required to obtain a valid OFAI CTS Certificate prior to start date, which will be scheduled by the Barrie Fire and Emergency Service Management Team and at the candidate’s expense. Should a candidate’s OFAI certificates expire prior to the employment offer, as a condition of employment, the candidate will be required to renew their certificates at the candidate’s expense. Week 4: A shift of twenty-four (24) hours (8:00 a.m.- 8:00 a.m.) on the Tuesday only. Please carefully review the recruitment package before submitting your application. Incorrect or incomplete submissions will not be accepted. When applying online, you will receive an email confirmation that your application has been received. Please check your email junk or spam folder if you do not see this confirmation email in your inbox. The City of Barrie is not responsible for any application that may be delayed or lost electronically. It is the applicant’s responsibility to ensure that the City of Barrie receives his/her application within the stipulated deadline. Applications and all required documentation will only be accepted online. The City of Barrie will not accept applications delivered in person or by mail. Applicants must possess all necessary certifications as outlined in the posting at the time of application, unless otherwise stated. Fire Fighter recruitments attract a high volume of applicants. Please do not phone the Human Resources Department or Barrie Fire and Emergency Service Department. If you require assistance with the application process, please email HRFire.Recruit@Barrie.ca and we will respond within two (2) business days. By submitting your application, you are authorizing the City of Barrie to contact the OFAI to verify your qualifications. For more information regarding this 2019 Fire Fighter recruitment, please visit our Fire Fighter Recruitment web page and review our Frequent Asked Questions document. 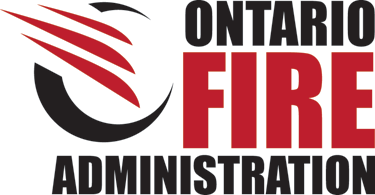 Ontario Fire Administration Inc. (OFAI) Candidate Testing Services Certificate (Stage One, Two, Three and Swim Test) if valid and completed. The City of Barrie is an equal opportunity employer and we will accommodate the needs of applicants under the Ontario Human Rights Code and the Accessibility for Ontarians with Disabilities Act (AODA) throughout all stages of the recruitment and selection process. Personal information collected will be used in accordance with the Municipal Freedom of Information and Protection of Privacy Act (MFIPPA) for the purpose of candidate selection.